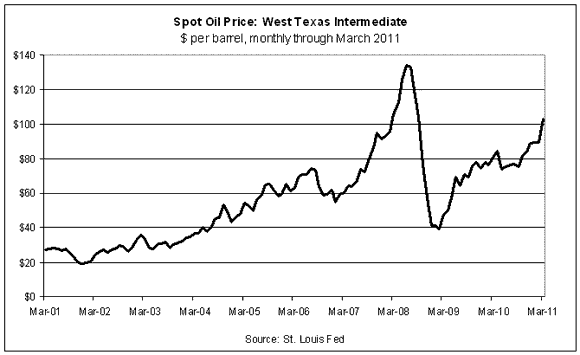 HomeBusinessWhat’s Up With Oil Prices? Oil prices in New York remain north of $110 this morning–the highest in three years. What’s behind the spike in prices? There’s no shortage of opinion, and it’s not necessarily in agreement. For some perspective, several oil analysts opine on what’s happening via a fresh round of interviews, courtesy of Integrity Research Associates.